The ancient villa, where silkworms once bred, had been acquired with Camus’s Nobel Prize money, to be their home away from Paris. My small suitcase was brought to the room which had once been his. Gazing from the window it was easy to see what drew him here. The naked sun, olive groves, dry patches of land dotted with tangles of yellow wild flowers all seemed akin to the natural setting of his native Algeria. There are three things I want to do here. Explain why Camus is regarded as a preeminent intellectual force to this day. Give you some places where you can check out his writing, and talk briefly about a collection of letters that was published in 2017. Why is he considered important? He wrote within the field of moral philosophy on a range of topics including terrorism, political violence, pacifism, the death penalty, and suicide. He introduced two key philosophical concepts -- the absurd and revolt. Camus’s fiction and philosophical writings are courageous and ultimately life-affirming works of art. While recognizing the ultimate absurdity of our transit through life, Camus stands for the whole-hearted embrace of this existence, no matter its fragility and shortness. 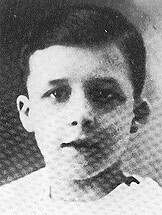 Camus was born in Algeria, the great grandson of a French immigrant to North Africa. His father was a cellarman who worked the harvested grapes in a winery and a military veteran. Recalled to military service in 1914, Camus’ father died of an injury in the first battle of the Marne River near Paris, France along with roughly half a million other men. 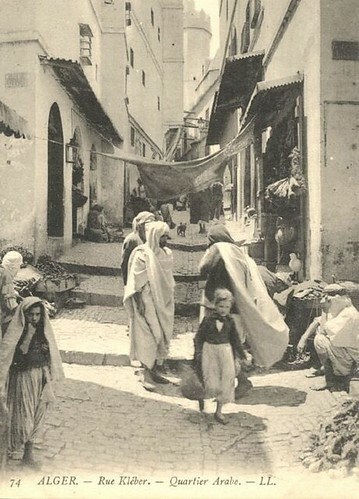 After his father’s death, his mother Catherine took Albert and his older brother to live with her mother in the city of Algiers. Catherine was partially deaf with a disabling speech impediment that made any attempt at clear speech difficult. Unable to read she worked at low wage jobs in factories and private homes. Life was difficult for the boys but rich in experience. The family was achingly poor and the home environment harsh with no indoor plumbing, and no electricity. But there were also good times. Camus’s uncle took the boys to the beach and sometimes hunting. The family also loved the cinema. Albert was also an excellent student, and quickly gained the attention of his school teachers. He was awarded a scholarship to attend high school at the Grand Lycée in Algiers, which brought him into contact with great literature, Latin, and English. He played soccer, began a lifelong love of art, theater, cinema and all things books, and experienced his first attack of tuberculosis, which would re-occur throughout his life. Unable to continue school for two years, he retreated to the mountains in hopes of improving his health. 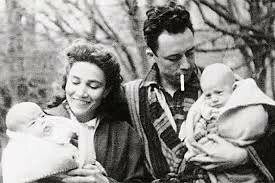 During the years 1933 - 1937 Camus attended college, began his writing and theatrical career and married Simone Hié, a marriage that will last only two years. In 1938 Camus started working for the daily Alger Républicain. In the early 1940s he was back and forth between France and Algeria. The Alger Républicain had folded and he lost his job as a journalist, and began to teach part-time in Algeria while working on The Stranger. By 1942 Camus was back in France. 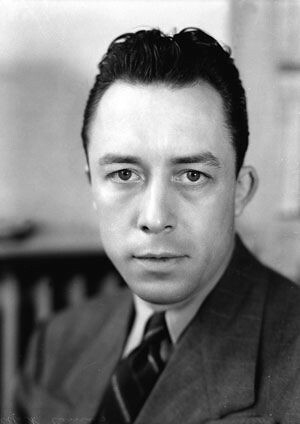 The Stranger was published to critical acclaim and Camus was launched into the literary stratosphere. In 1943 he began working at Combat, a publication of the French Resistance, struggled with a new bout of TB, joined Gallimard Publishing as an editor, and published Myth of Sisyphus. He was 29 years old. By the late 1940s Camus was a member of Paris intellectual circles, friends with Andre Malraux, long his literary idol, Jean Paul Sartre, Simone de Beauvoir and Pablo Picasso, and established on the world stage as a writer and thinker of enormous accomplishment. Over the next ten years he would continue to write and also become an activist in the field of human rights. 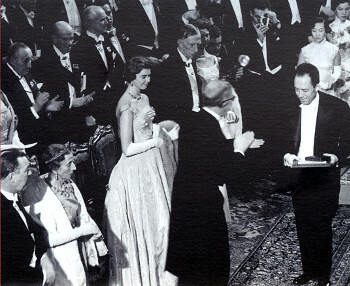 Camus was stunned to receive the Nobel Prize for Literature in 1957, which was awarded largely for his extended essay opposing capital punishment -- Reflections on the Guillotine. In the words of the Nobel committee -- "for his important literary production, which with clear-sighted earnestness illuminates the problems of the human conscience in our times." In his acceptance speech he worried that such an award should wait till a writer had completed the majority of his work. Three years later he would be dead, lost in a car accident January 4, 1960. He was in the car of his great friend and publisher, Michel Gallimard. In his pocket, train tickets to Paris -- he had planned to go by train with his wife and children, and accepted Gallimard’s invite at the last minute. The road was icy; both men died. Camus was 44 years old. I think the best way to get a sense of a writer is to read his work. Even to read a portion of his work. There are several options available online for Camus, mostly in PDF format. Simply open and read. No need to download. When Does Suicide Pose A Philosophical Problem? -- From Myth of Sisyphus (1942) Camus talking about the internal dynamics that lead some to take their lives. A very clear and easy read. Five pages. “The Guest,” a short story from Camus’s 1957 collection, Exile and Kingdom. A great opportunity to experience the lyricism of Camus’s fiction. Eight pages. Reflections on the Guillotine, an extended essay (1957) Although I can’t locate a pristine copy of this piece, the link will take you to an actual copy of the book. Another clear and easy read. The size of the typeface can be changed. 50 pages. Camus’s first marriage had ended in divorce. He married again in 1940. A reserved, gentle and strikingly beautiful woman, Francine Faure. She was a mathematician and pianist. They met in Algiers in 1937. Like Camus, Francine had lost her father in WW1. 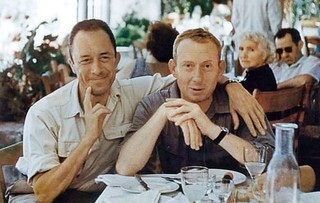 The marriage would last until Camus’s death in 1960. Francine and Albert are buried next to each other in Lourmarin, Provence, the small village where the family villa is located. When Paris was occupied by the Germans, Francine returned to Algeria where she continued to live until October 1944, several months after Liberation. 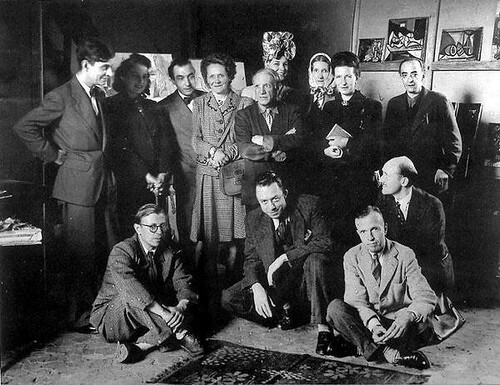 During his time alone in Paris, Camus worked as editor of Combat, a Resistance publication while continuing his writing life. In the spring of 1944 Albert met a young Spanish French actress named Maria Casarès during a rehearsal of his play, The Misunderstanding. The attraction was instantaneous. Maria was 21; Albert was 30. When Francine returned, the affair ended. The twins were born on September 5, 1945. Four years later on June 6, 1948 Albert and Maria ran into each other on Boulevard Germain in Paris, and the relationship was reignited, and Maria Casarès, who had by this time become an actress of considerable talent. 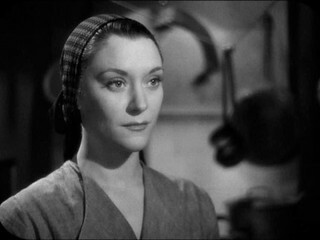 Today, over twenty years after her death, she is still regarded as one of the more distinguished actors of the French stage. So what happened? Obviously they continued to see each other, although both had busy lives and other responsibilities. There was much time apart, and there was ongoing correspondence, back and forth, hundreds of letters over the years. Maria would have preferred marriage. 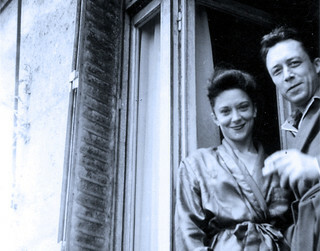 Although Camus regarded Maria as the love of his life, he did not pursue divorce from Francine. He told her, ““I know too well that all I need to do is say certain words and turn my back on this part of my life. But as I gave my word, these are words I will not say and there are engagements I cannot break….I will try to make Francine happy.” (Zaretsky) Unfortunately, Francine knew about the affair, and suffered a great depression because of it -- one time going so far as to throw herself off a balcony. In 1979, after her mother had passed away, Catherine Camus purchased the letters from Maria, who continued with her career for another seventeen years until her death in 1996. Last year, November 2017, Catherine Camus published the letters -- all 865 of them. The book is 1,300 pages long. It has not yet been translated into English. The bits of letters that I have found are exquisite, testimonies to a love between a complicated man and a passionate woman. Camus was clearly a lover of women -- Maria was not his only lover over the twelve years the two maintained their relationship. But also, clearly, the quality of this particular relationship was extraordinary, and therefore merits public inclusion in the story of Albert Camus’s life. Catherine’s comment on why she published the letters is telling, ““Their letters make the world a bigger, brighter place, the air is lighter simply because they exist,” Catherine Camus wrote in the introduction to the vast 1,300-page volume. Yeah, I’d like to read them in English. The older I get the more it seems that love may be the most powerful and life-affirming force in the world. Next to anything else, love conquers. “Tied to one another by the bonds of the earth, by intelligence, heart and flesh, nothing I know can surprise or separate us,” Camus wrote to Casarès in February 1950. Camus Bio -- The Albert Camus Society. La Cava, Stephanie. 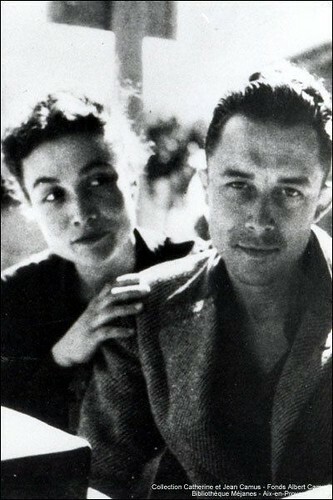 “Illicit Love Letters: Albert Camus and Maria Casarès. The Paris Review, April 11, 2018. Marlowe, Lara. “Albert Camus’s sizzling letters to one of his three lovers” The Irish Times. November 25, 2017. Zaretsky, Robert. No Longer the Person I Was: The Dazzling Correspondence of Albert Camus and Maria Casarès. Los Angeles Review of Books. March 4, 2018. Another interesting person and writer. Thanks for shining light on this part of our story. I wonder if Patti was channeling his and Maria’s love affair for Eugenia and Alexander. I read the essay about Suicide and found my eyes glazing over and rolling back in my head, figuratively speaking. Listening to Viggo read made the writing seem more clear, but still a bit too cerebral for my liking. Camus certainly loved words, and he writes beautifully , but the thought process is a little outside my wheelhouse. However, once again, I can understand why Patti is attracted to his work. It seems very much suited to her tastes. Thanks for the comments! I remember reading The Stranger in french in college. Gawd! The one thing that stood out was that french was a better language for misery and disgust. Got a D that semester. The fact that Camus didn't have an advanced degree in philosophy was quite interesting to me. He had quite an impact. SnoopyDances wrote: Another interesting person and writer. IDK. I do hope we have some discussion around that short story. Reading and note-taking on same this week. Not sure what I make of the couple.